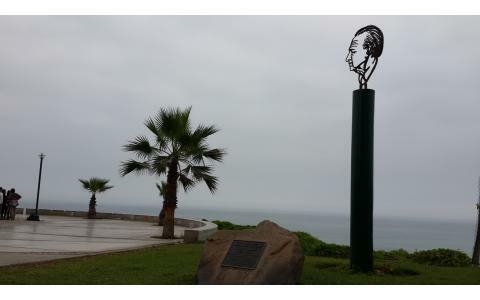 A fascinating Jewish City Tour visiting Jewish places in Lima and showing the history and Jewish life of that community. Through this tour travelers can learn how community life was born and developed in Peru. 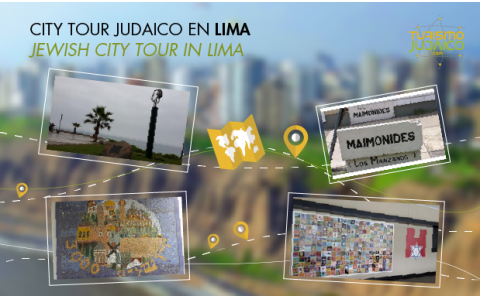 The intention of the tour is to visit (from outside and inside) some institutions and places, knowing about the history and the Jewish community life in Lima. - Sefaradi Synagogue, Sharon Synagogue, 1870 Synagogue and Chabad Synagogue. From monday to friday. On Saturdays and Sundays this tour is not performed. - The tour finish in the hotel or in Larco-Mar Shopping. - Ask for rates for picking up from hotels in another districts. ++ Clarification: due to security measures, all passengers must complete, at least one week before the reserved date, an online form with full details of travelers. Admission to institutions subject to the approval of community safety staff. Failure to enter, the tour will be all from outside instiutions telling about the history of the Jewish community in Lima. Rabbi Schneur Zalman Blumenfeld. The center includes: * Synagogue * Kosher Restaurant * Kosher bakery and other food products. Shabbat, Shajarit, Arvit and Minja services It has a mikveh for men and a mikveh for women. In Peru , there have been Jews from Spanish Conquest. At first, they had lived without restrictions because the Inquisition was not active at the beginning of the Viceroyalty of Peru. Then, with the advent of the Inquisition, the Jews began to be persecuted, and in some cases to be executed. In the 1910s new Ashkenazim and Sephardim arrived Jews who congregate in the few remaining German Jews in the last century in their institutions, and using their graveyard. In the 1920s continued the immigration of young mainly Ashkenazim, many of whom come to the provinces to develop trade credit. Soon the Sephardim of Ashkenazim are separated , forming the " Sephardic Jewish Charitable Society " (1920 ) and " Israeli Union of Peru " (1923 ) respectively. In 1925 founded the " Zionist Organization of Peru." The Germans were completed fully assimilate. 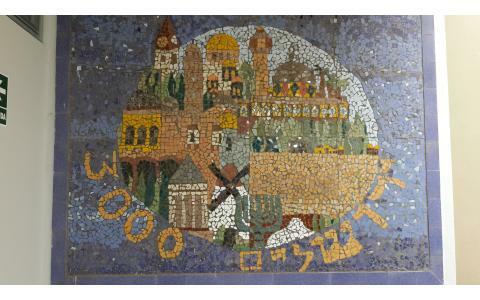 The Jewish population at the end of the decade reached a thousand. 1950 is the decade of community prosperity. Jewish families are already stabilized economically, provincial Jews migrated to Lima in search of a Jewish social and educational environment for their children. In this period many Jews acquire land and construct various Jewish institutions: acquisition of local society for 1870, Leon Pinelo school building and the synagogue of the Jewish Union for the acquisition of local Israeli Embassy and one for the Israelite Circle of Peru, construction of Hebraica Sport-Social Cultural Center, acquisition of premises for " Bikur Cholim Chevra Kadisha - " Aliyah Hatzioni transfer the property of the local old school, nursing home construction " Afilantis " and construction of the synagogue Mandel " Adat Israel ". The Jewish population reached a maximum of about 6,000 people. Between 1950 and 1960 became a very prosperous community, then enter a process of reduction and decline. In the 1970s begins the turning point of the Jewish community began its economic and demographic contraction following the military coup of General Velasco ( 1968-1980 ) affecting landowners , industry, and buildings. Young Jews began to emigrate to study abroad , especially Israel and the U.S. Increase intermarriage and the first signs of anti-Semitism by the open attitude and pro-Palestinian anti-Zionist regime are presented. The Jewish population drops to 4,500 people at the end of the 70s. Today, Peruvian Jews are less than 3,000, most of them lives in the capital, Lima, and represent a significant part of the economy and politics of Peru. Out of Lima, there is only a more or less organized in Iquitos in the Amazon rainforest community. In the last thirty years, an interesting and strange phenomenon has developed in Peru: the conversion to Judaism of several hundred Catholics indigenous Peruvians. Peru is a country that is organized as a democratic republic with a multiparty political system structured on the principles of separation of powers and decentralization. It is divided into 24 departments and the Constitutional Province of Callao. It has a population of 28,220,764 inhabitants according to Census 2007 and covers an area of 1,285,215 km. Contrary other equatorial countries, Peru doesn´t have an exclusively tropical climate, the influence of the Andes and the Humboldt Current attach great climatic diversity Peruvian territory. It has a complex geography dominated mainly by the elevations of the Cordillera of the Andes and the Pacific currents, which configures climates and landscapes as widely varied as the desert coast, the highlands of the high Andes or the Amazon jungle. 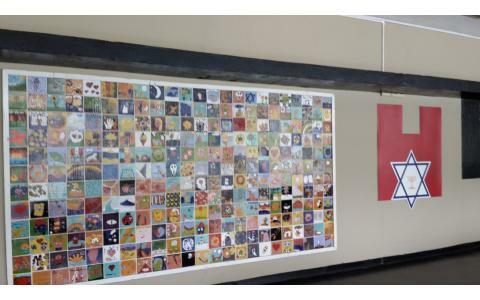 Peru is one of the most biodiverse countries in the world and major mineral resources. The main and most widely spoken language is Spanish.